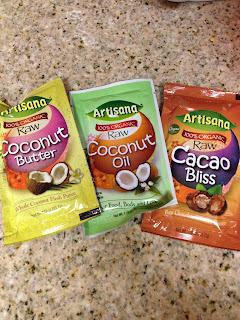 Artisana was gracious enough to send me a huge package of samples to review for you all! 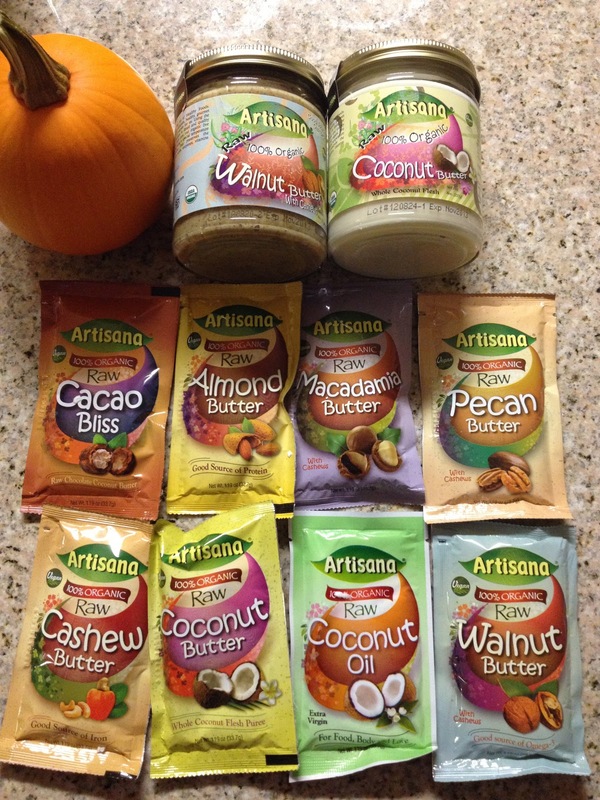 These are some AMAZING, CLEAN EATING nut butters people! No artificial flavors or sugars, only the finest nuts and seeds, all organic! Can it get any better than that?! I DIDN'T THINK SO. Nut butters are so beneficial to your health! They reduce the risk of heart disease by helping blood vessel elasticity and lessen plaque accumulation. They also lower that pesky bad cholesterol, LDL, and the C-reactive protein (CRP). Coconuts also reduce LDL cholesterol, help balance female hormones, and assist in weight loss (can I hear a BOOYA?!) So what are you waiting for? GET ON THESE SUPER FOODS! DON'T FEAR THE FATS! Here's what the company claims about their products! Creating unique, delicious, healthy, gourmet food is a work of passion for us, blending together nuts and seeds like the vibrant colors of an artist's palette. Handmade with care, our organic foods are crafted using a temperature controlled process that preserves the life-essential fatty acids, proteins, vitamins, and enzymes. Taste - Simply put, they are amazingly delicious. Unique variety- In addition to our superior Almond Butter and Tahini, we offer unique varieties: Walnut Butter, Pecan Butter, Cashew Butter, and Macadamia/Cashew Butter. 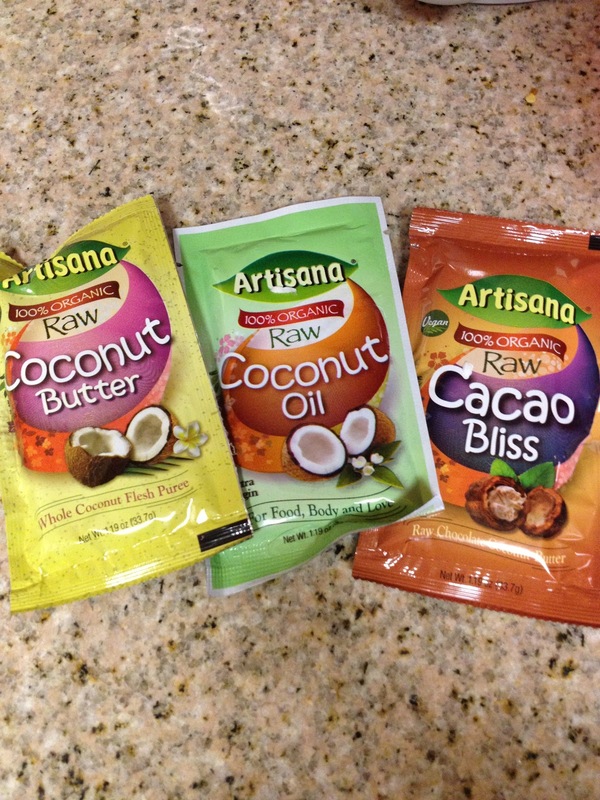 Our coconut products include the ever popular Coconut Butter and it's related Cacao Bliss, as well as our Extra Virgin Pure Coconut Oil. Fresh - We hand select only the finest new harvest nuts, seeds and coconut for our butters. Our almonds and walnuts are the best California has to offer. Quality - All of our nut and seed butters are hand crafted in small batches in Oakland, CA with careful attention to detail using strict food safety protocols. Pure - We don't add any extra ingredients. No oil, sugar, preservatives or artificial flavors - Nothing. Which means that all you get is the clean, fresh taste of nuts and seeds the way nature intended. Raw - Our raw products are made into puree with a temperature controlled process. Fiber in all products more readily digestible than whole nuts...making them truly whole foods. So here's my review on each of the wonderful flavors I received! Coconut Butter - SO DELICIOUS! This is made from the actual flesh of the coconut, so it has a very great flavor! And it just melts right in your mouth! And this is just from trying it alone! I can't wait to combine it with other delicious foods! Cacao Bliss - Who doesn't love some Cacao goodness? This tastes JUST LIKE AN ALMOND JOY CANDY to me! Because it's a mixture of Cacao and Coconut! Such a great combination, and it was delicious. This is the lowest calories out of the samples I received, with 177 calories per one grab and go packet! The above three do have coconut in them, so that means it will most likely be hard if in a cooler temperature room. Do NOT try and microwave the packets or they'll explode! learned that the hard way! Just run it under some warm water or rub it between your hands to get it all creamy and spready! Cashew Butter - I've heard this Cashew Butter is ADDICTING. And man were people right. It is so thick, smooth, and creamy, and the cashew flavor is so sweet and mouth watering. It's also the second lowest caloric wise of their nut butters, with 183 calories! And a great source for Iron! 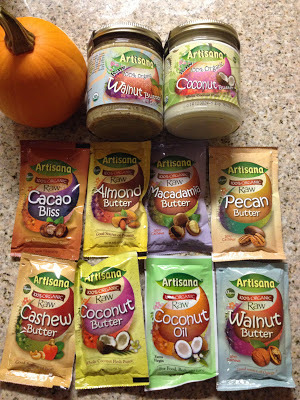 Almond Butter - You all KNOW my addiction to almond butter! And Artisana DID NOT DISAPPOINT! It has that same great taste as all other natural almond butters! Grainy texture and almondy, and oh so beneficial for you! This nut butter is also a great source of Protein!! These next three flavors are all made with cashews as well! Macadamia Butter - Macadamia! I love them, in anything and everything! By themselves, in white chocolate macadamia cookies... (SH!) and now I have a new love of it - in BUTTER FORM! You can taste the bits of macadamia and the flavor of the cashew mixed together and it has a nice sweet flavor! Pecan Butter - Pecans are so yummy! They're my parents' favorite kinds of nuts to munch on! Now I gotta show them this! It has SUCH a great pecan taste, and again you can taste the little chunks of it in the butter, and the cashew give it a nice sweet and creamy feel as well! Walnut Butter - Walnut Butter, a nut butter I have never tried! And let me tell you - OH MY. It's a good source of Omega-3 and tastes amazing! The walnuts gave it that grainy texture but the cashew kept it nice and creamy. 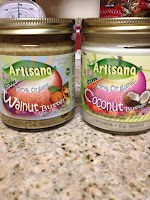 The best part of their nut butters was that I could taste the little chunks of the actual nuts in the packages! So great, so natural and artificial free, and organic! And the flavors were all so nutty and intense, grainy crunchy and creamy, overall PARTY IN MY MOUTH! Where can you get these AMAZING products?! Check your local natural/organic health food store or market! If not, you can order some online here! You can buy them in jars or in their convenient on-the-go packaging! They have 1.19 oz squeeze packs which are SO great for if you're in a hurry, on the run, going to class or work! Very convenient for those that don't have much time to pack up their meals! And so mess free! All you have to do is squeeze out the fatty goodness! Like them on Facebook too to get current updates on the company! AHHH NOT GOOD FOR OUR ADDICTIONS AT ALL AHH! :P but yes sooo heavenly and delicious!! Seriously yum!!! I love nut butters. Will have to check out this brand. I am pretty familiar with Justin's but not this one. Thanks for breaking it down!